This Sokkia 724035 Optical Plummet Tribrach with its economy design, fits the need for an inexpensive alternative. 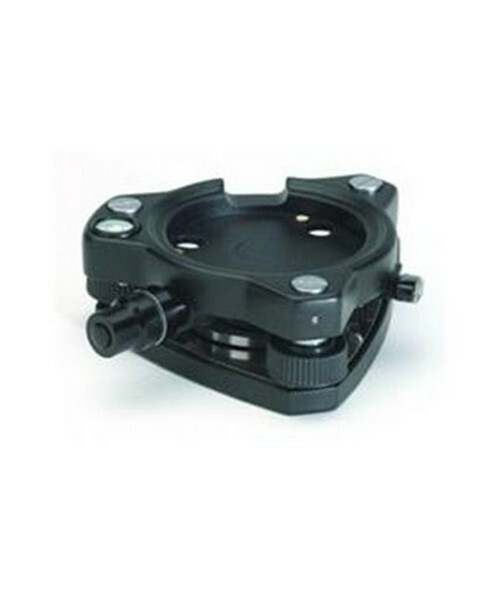 It features a twist focus, 2.5x magnification and leveling screws with center line. It has an 8 minute circular vial, 3-prong forced centering and a 5/8” x 11” base. Easy range of 1.5' to 50'. It will work with Sokkia, Leica, Topcon and most other instruments or accessories. The Sokkia Tribrach with Optical Plummety only weighs 1.85 lbs, so it will not add too much excess weight to your equipment.